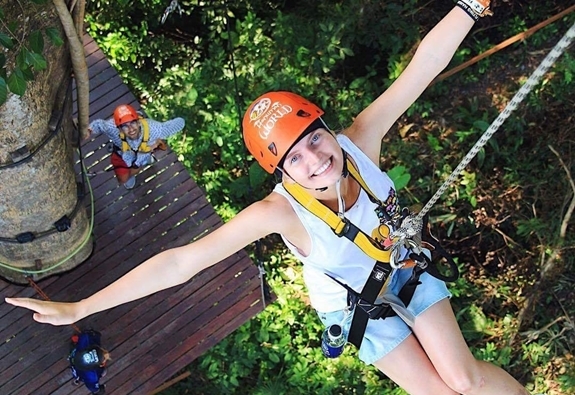 If you’re looking for a new way to explore the natural wonderlands of Phan aga. 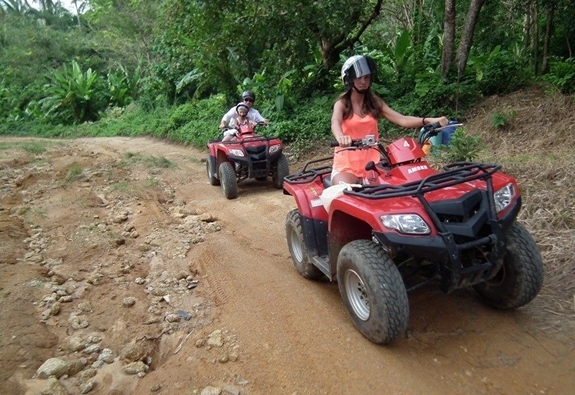 We offers a different and unique All Terrain Vehicle tour. 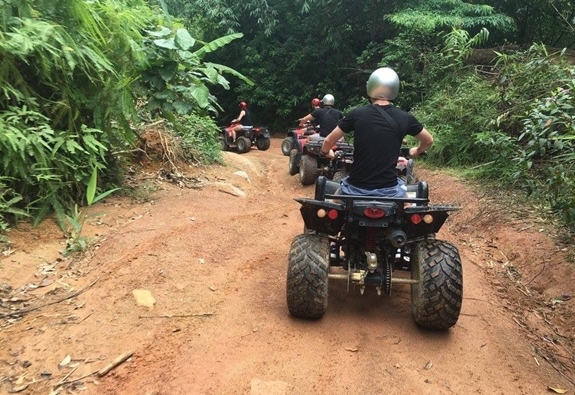 Enjoy a fun and safe ride through real untamed rain forests get in touch with local villages, farms, plantations, dark mangrove forests. 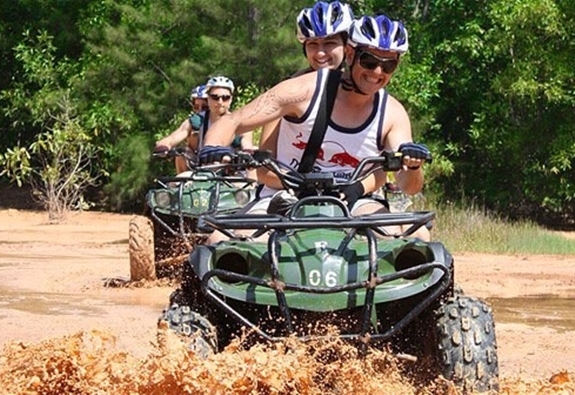 Registration and tour orientation with, safety tips, briefing and ATV training. 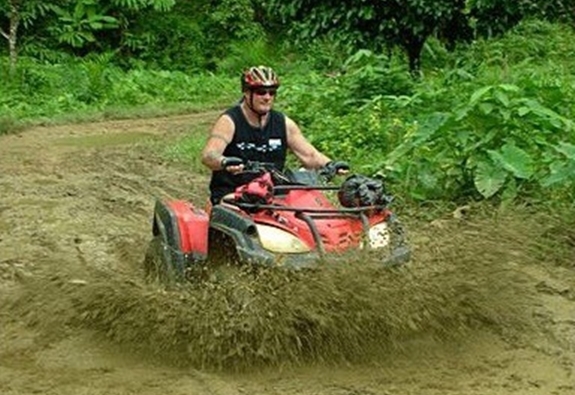 Tour starts by riding on off-road trails amongst the great environment of local farms, plantations and jungles. 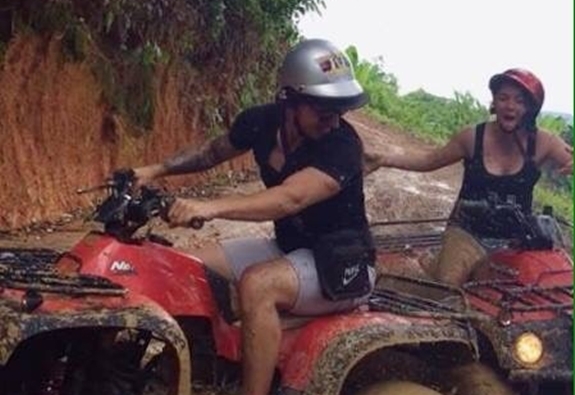 The real adventure starts where the road ends, where you can experience riding in the river, which allows you to head to the hidden waterfall, secretly kept for all nature lovers. You can enjoy swimming, refreshments and snacks. 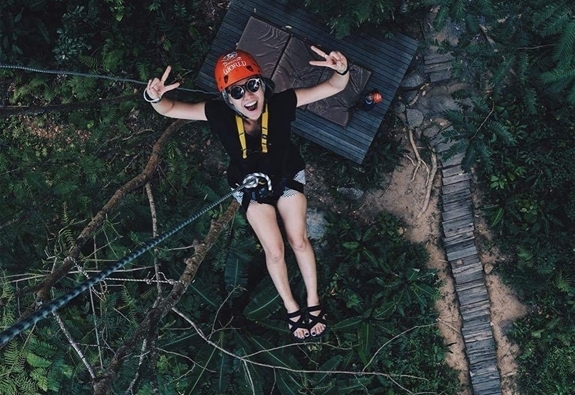 The most exhilarating part is the adventurous up hill trails where you will ride up to the mountain peak. Here you can take a short break to enjoy the fresh & cool mountain breeze and its scenic view and take some beautiful shots for unforgettable memories. 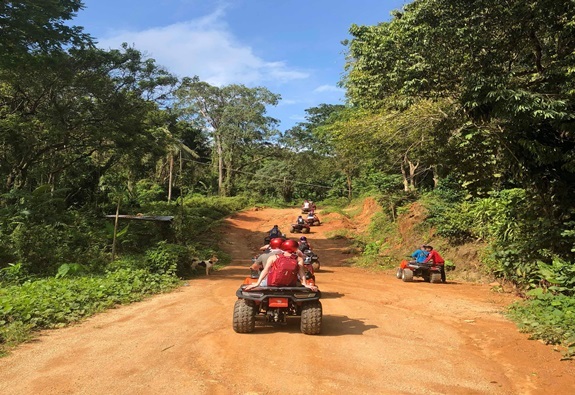 Cool down your ATV and yourselves by riding downhill and back to the ATV camp, enjoy fresh fruits in season, a sandwich and cold beverages and transfer to your hotel. Protective gears (helmet and glove). Rain coat (on rainy day). Drinking water & fruits in season. Insurance for rider & passenger (ATV’s damages not covered). Camera, Some cash, Sport wear (ready to get muddy). Sport shoes, Sun block, Sun cap, Sunglasses. Dust mask or cloth and insect repellent. The riders must be in good physical and mental condition to ride safely. Therefore, no influence of alcohol and drugs, pregnancy as well as physical problems are not allowed. 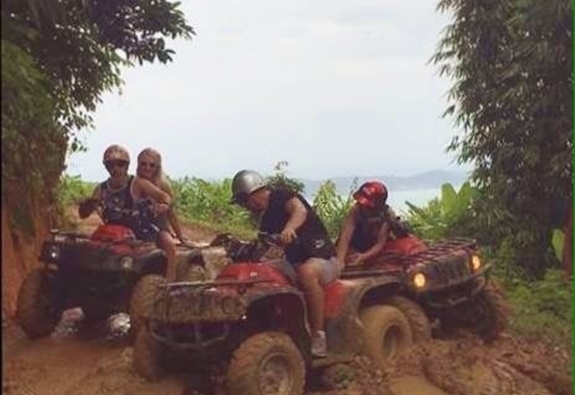 Children under 16, riding ATVs must be supervised by parents/guardian and tour guide/instructor or tour operator. In case of rider with passenger, acceptance will be under tour operator’s consideration and guests shall accept to sign a waiver form and use protective gears such as helmet, glove etc. During the tour, strictly follow the tour guide/instructor. The tour operator has the authority to stop any risky riding or unpleasent mannerism with no refund. 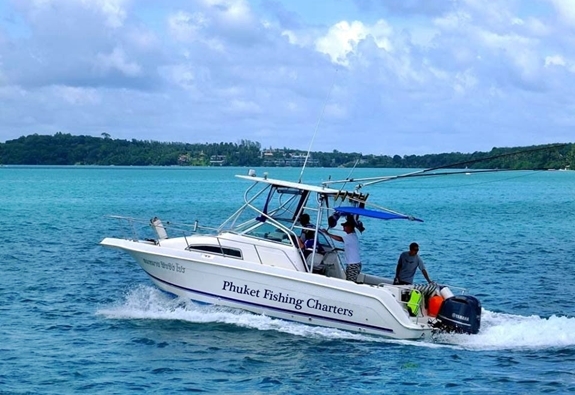 Prices are per person, In Thai Baht, All service charge and taxes included. 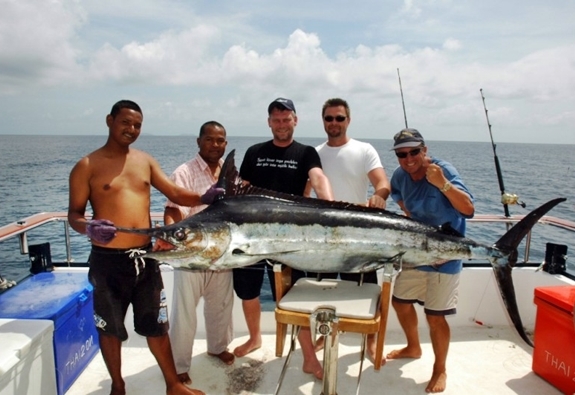 Program may be subject to changes depend on the tide and weather condition.